A Chinese commercial flight successfully landed for the first time in Antarctica late on Saturday, marking a milestone for Chinese commercial aviation, reports huanqiu.com. The airplane, carrying 22 passengers, is set to fly over the continent for about five hours before landing near the South Pole. The airplane was provided by the HNA Group. A senior executive said the company had spent a decade undertaking research and experimental flights to prepare for this mission. Wang Wen, a professor from the Chongyang Institute for Financial Studies of Renmin University, said the flight will help raise the enthusiasm of the Chinese people for the“dreamland” that is Antarctica. He also said that Antarctic tourism would help foster the interest of the Chinese people in the natural environment and issues such as climate change and ecological protection. Wang said that China’s growing involvement in the management of Antarctica would encourage greater scientific cooperation, environmental protection, and the implementation of international treaties on Antarctica. China’s involvement with Antarctica is relatively new, but has developed rapidly. China became a consultative member of the Antarctic Treaty on October 7, 1985. The number of Chinese scientific stations on the continent currently ranks sixth in the world. 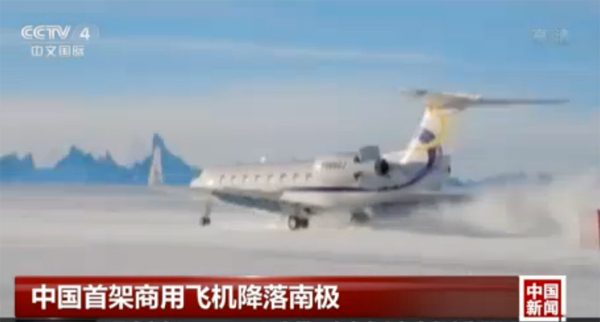 China conducted its first successful test flight to Antarctica in 2015. Dubbed“the end of the world,” about 30,000 to 40,000 tourists visit Antarctica each year.